We are doubling the bike provision here at Bicester North and Warwick Parkway - adding new cycle facilities such as a brand new bike pump station. At High Wycombe station from Monday 13 August until Saturday 18 August we will be replacing the existing car park lighting with new energy efficient LED lighting. Chiltern Railways will be operating between London and Birmingham this weekend however we will be much busier than usual as other train operator's passengers will use our services. Are you going to see Oxford United vs Crystal Palace on Saturday 21 July? 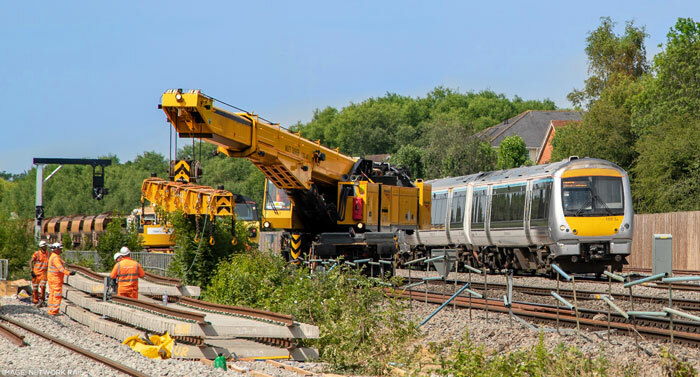 Due to Network Rail engineering works, buses will replace trains between Aylesbury and Aylesbury Vale Parkway on Monday 2nd July from 22:05. Please check before you travel. On Friday 22 and Saturday 23 June Chiltern Railways trains will be busier than usual due to Taylor Swift performing at Wembley Stadium. An amended timetable will operate during the late afternoons and evenings on both days.